I was without internet access for the majority of last week, something I hope never happens again, due to my ancient wireless router finally deciding to stop working. 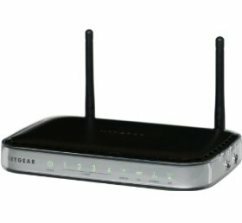 When shopping for a new router I was completely spoilt with choice, but managed to narrow it down to one: the Netgear DGN2000 wireless router. 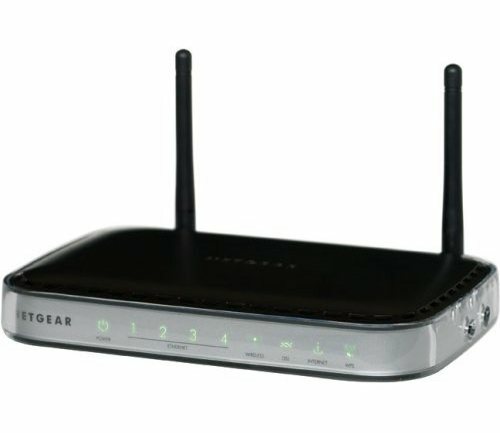 The DGN2000 is an 802.11n ADSL router, available for between £60 and £80. Upon opening the box, I found a ‘Start Here’ leaflet with a CD enclosed which contained a setup utility for Windows as well as Mac and Linux functionality. Bearing in mind the last time I bought a wireless router was a considerable number of years ago, I expected to be inputting all my ISP information manually in a rather tedious manner! However, after getting myself ready for the struggle I was pleasantly surprised to find that the setup process was extremely simple and mostly automated. As far as performance is concerned, I’ve been impressed with the DGN2000 so far. Bear in mind though, both my desktop and laptop computers have 802.11n wireless adaptors, so you may not see a great rise in performance using older standards such as 802.11b/g. When transferring a 1gb file over my network, speeds peaked around 8mb/s between one computer connected via ethernet and another wirelessly. When using wirelessly, you can choose between 5 different security modes including WEP, WPA-PSK and WPA-802.1x, so there’s no shortage of choices! All things considered, I’ve been extremely impressed with the Netgear DGN2000 ADSL wireless router and recommend it to anyone in the market for a new router. The simple setup, host of security options and quick speeds make it a serious contender in the wireless router market, especially if you’ve experienced problems with the Belkin N+ ADSL wireless router!